The ideal outdoor wagon for your twin! This foldable outdoor wagon is ideal for your twin and is practical for many years to transport your twin from baby to school child. Practical for transport to school, day trips, for hikes and holidays. There is a wide range of accessories. The Explorer 65 and 80 are the most frequently used twin wagons. They offer numerous combinations with the duo-baby seat and child seat. 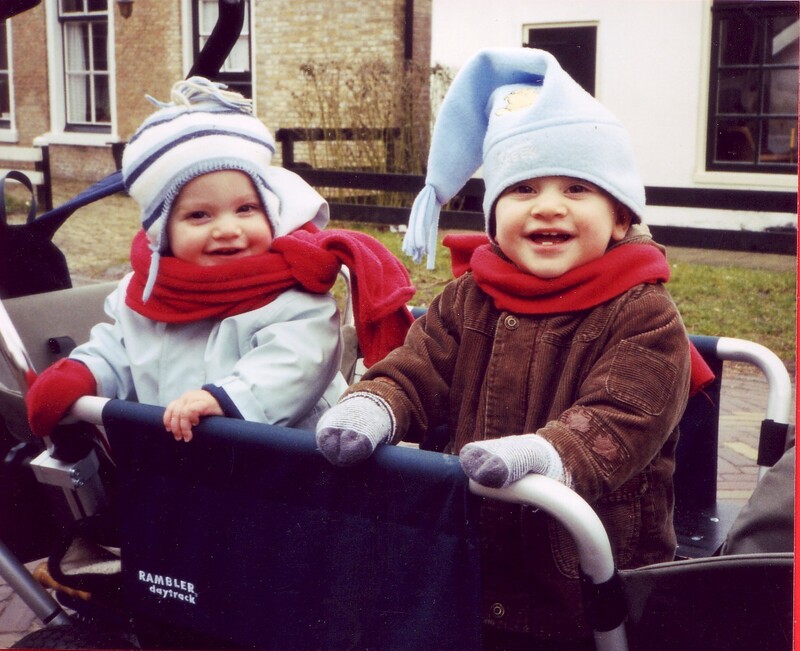 Children love to go out and ride in a wagon. Walking themselves from time to time. Always a resting place at hand! They can easily step in and out through the open back side which can be closed with the back board. An extra available step board makes it even more fun to ride along. Beautiful to be outdoors! 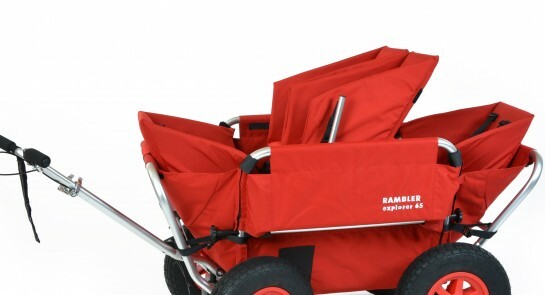 The Rambler outdoor wagon is the perfect wagon for carrying children and luggage. All Rambler outdoor wagons are of course child-friendly and robust. In addition, the outdoor wagon is foldable, thus saving space storing or taking in the trunk. Easy to take in the car or train! The unique design of the Rambler outdoor wagons reduces the physical strain for pulling the wagon to a minimum. With the optional push bars for a 2nd person the wagon is even easier to move. The outdoor wagon rolls smoothly over any type of terrain. The ideal outdoor wagon for your twin!